Gil Bedouins traditionally live a nomadic lifestyle. The word "Bedouin" comes from the Arab word "Bedou, " meaning "desert dweller. " Nomadic Bedouins number about one-tenth of the population of the Middle East. Gil Bedouins number 47,000.
camp around secure water sources. Bedouins define themselves by their tribes and families. People are divided into social classes depending on ancestry and profession. Passing from one class to another is relatively feasible, but marriage between a man and a woman of different classes is unusual. 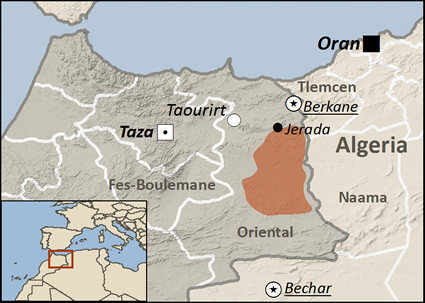 Though North African countries like Morocco are most noted for Berber tribes, they have some Bedouins there. One Bedouin tribe in Morocco is called the Gil Tribe. Bedouin society has a strict code of honor which dictates proper behavior for all members, including children. Because of the demanding nature of the Bedouin lifestyle, children are expected to assume a considerable amount of responsibility to help their families survive. Although modernization has changed the Bedouin lifestyle somewhat, emphasis is placed on teaching children to carry on traditional ways of life, and the advancement of modern technology is not considered important to education. Modern societies have made the traditional Bedouin lifestyle less attractive since it is demanding and often dangerous. As a result, many tribes have settled in urban areas. It is not uncommon to see a young Bedouin building a house and living in it; however, his parents will pitch their tent in the garden, where they will live very happily until the end of their days. 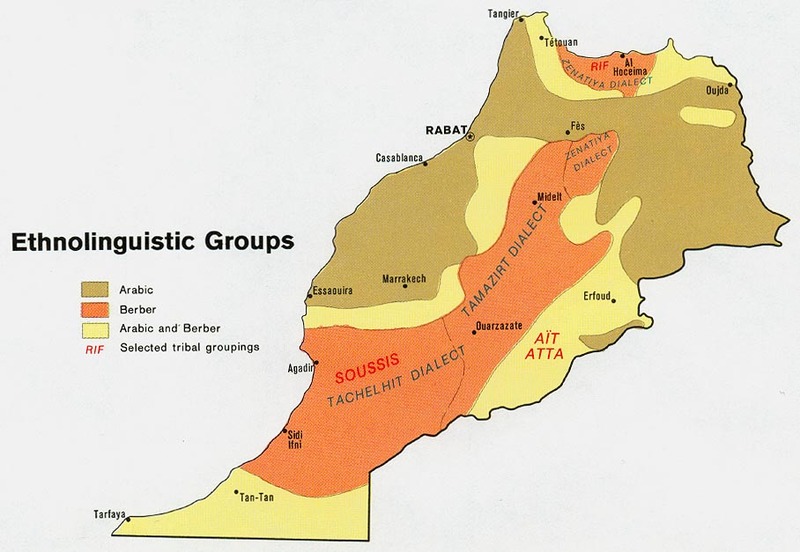 They speak Algerian Saharan, an unwritten language. Islam (100 percent) is embedded and deeply rooted in Bedouin culture. The word, Bedouin is synonymous with being a follower of Islam. Prayer is an integral part of Bedouin life. As there are no formal mosques in the desert, they pray where they are, facing Mecca and performing the ritual washing, preferably with water. Since water is not always readily available, they wash with sand instead. Christians have not yet found the way to help such people pray to the one who paid for their sins. Gil Bedouins in Morocco need to see their desperate need for their savior. There is salvation in no one else. * Gil Bedouin children need to be educated in the world's technology to be participants in their world of today. 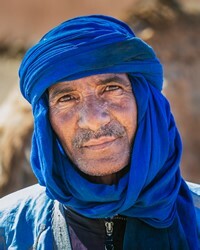 * Pray for the Lord of the harvest to send out workers to the Gil Bedouins of Morocco. * Gil Bedouins need the attention of hearty mission workers who will show them the way to pray for God the Father. http://factsanddetails.com/world/cat52/sub331/item1988.htmlView Bedouin, Gil in all countries.